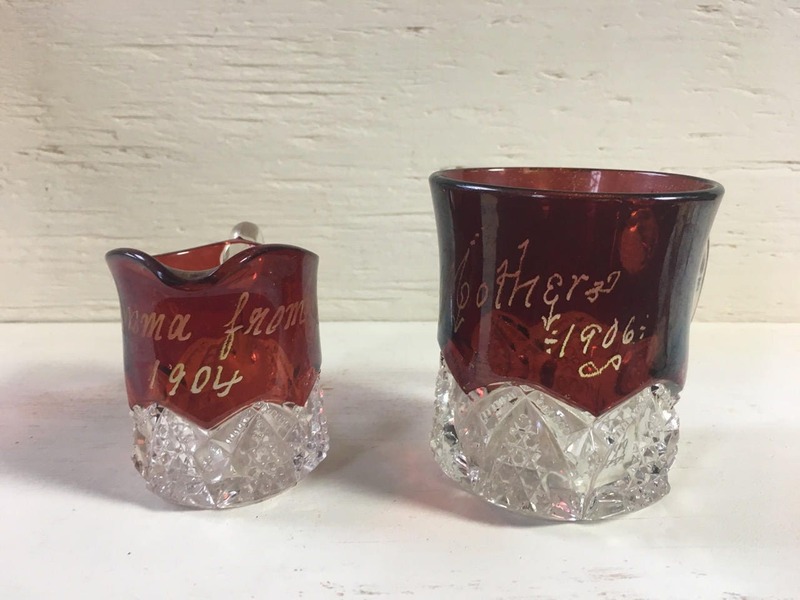 Start your collection of Ruby Flash Glass with these two pieces! You'll get a small mug, and a tiny pitcher or creamer. Both are in nice condition considering their age. 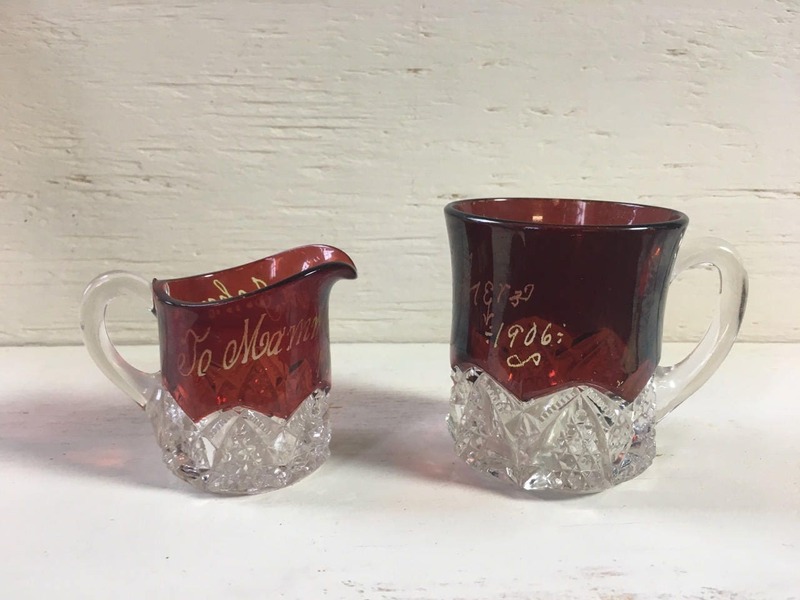 The small pitcher is 2.5" tall and is engraved with "To Momma from John - 1904"
The mug is 3" tall and engraved with "Mother - 1906"
These may have belonged to my either my great grandmother, or a great aunt, and now I'd love to see them in someone's collection who will enjoy them!